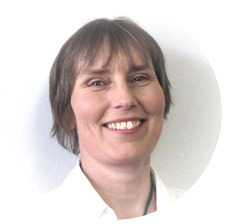 Mette is our office manager/receptionist and has worked at the practice since early 2010. A Hospital Trained Dietitian from Økonomaskolen in Copenhagen, Mette has more than 10 years experience in hospital nutrition and staff management as well as 6 years experience in managing and tutoring apprentice students during their education. She has an Academy Foundation (AF) Degree in Business, Leadership & Management, from Copenhagen Business and Management College. Since moving to Australia Mette has worked with a medically supervised weight loss program in Melbourne and has developed menu plans and supervised healthy eating habits for children in a long day care centre in Sydney. She has also worked for two years as a volunteer at the Juvenile Diabetes Research Foundation in Sydney before joining the NND team. Kate Ferreira has been working at NND since 2012, helping out on reception in the evenings and during school/university holidays.